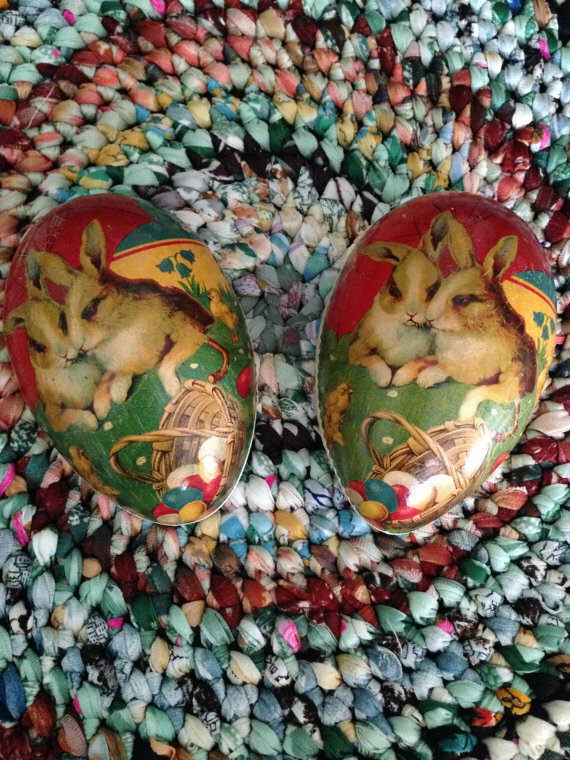 Well Easter is fast approaching. Oh my....where does the time go! As you probably know by now I am a vintage fan. Actually I love all antiques and vintage. 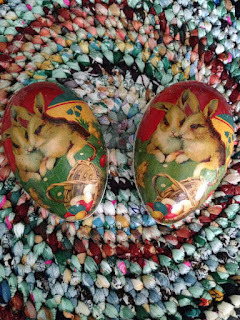 Easter is so colorful with all its pretty pastel colors so I thought I would look on Etsy today to find some Easter vintage items for you. Oh my look at these paper mache Easter egg candy containers from santahauntedboot. I like the old fashion look of these. Look at the color of this plate! I just love all the pastels. 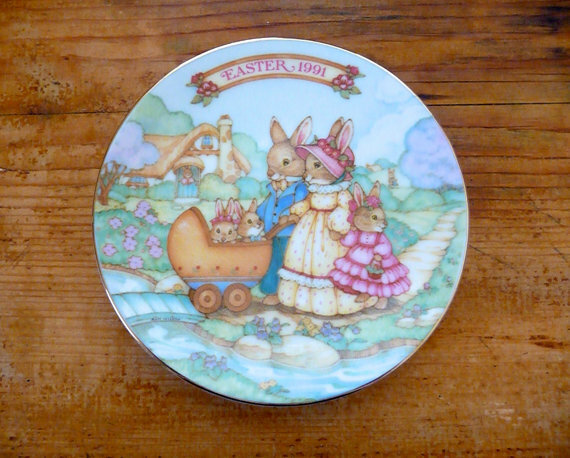 Do you remember Avon plates? This is one of them from basicallyBaca. I think my mom had a few of those Avon collectible plates..hmmmmm. 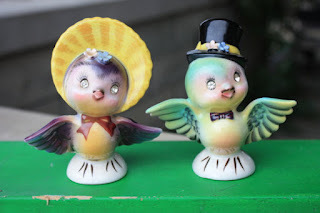 Oh such cute little birds from PurpleHousePicks! I just love these little guys! They are little salt and pepper shakers just love their expressions. I collect salt and paper shakers of all kinds of cute things maybe I should add this to my collection. What do you think? 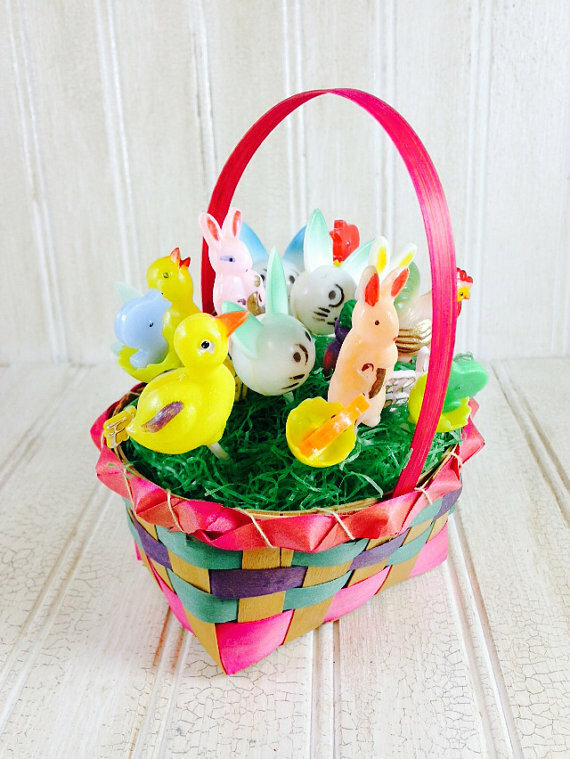 Lots of pretty colors in this Easter items isn't there. Hope everyone has a great Easter with family and friends!